Remember that this review and your name will be available for the tax professional and others to read online. Express your feelings but back up all comments, both negative and positive, with facts and truths. Refrain from allegations of illegal activity and comments that may be considered libel by the tax preparer. We ask for your personal information because we do not allow anonymous client reviews which are far less trustworthy. 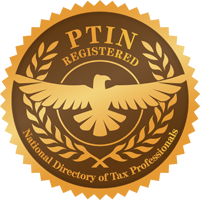 By submitting this review you are confirming that the information contained in it is true and accurate and represents your personal experience with this tax preparer. You are also confirming that you are not an employee, paid agent, relative or competitor of this tax preparer. Tax professionals posing as a client or hiring an outside agency or employee to post favorable ratings is a practice known as “astroturfing”, and is illegal. If caught, you may be prosecuted.